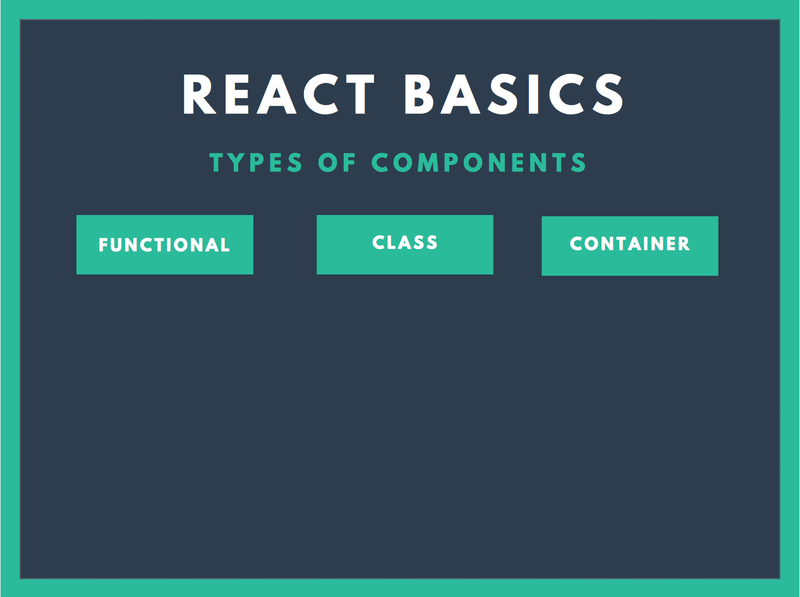 What is a Component in React? As plainly stated above, one of the main advantages of components is taking potentially large pieces of code that make up views and break them down in the smaller more manageable pieces that are easier to work with. Each class based component we define has it’s own state based object. Whenever a component state is changed, the component immediately rerenders. It will also rerender its child components Before you use state inside a component, you need to initialize the state object. To set the property state, to a plain js object inside of the class constructor method. While trivial, the following example makes it easy to follow the basics of a class component. 1: class Welcome extends Component: This is how you define an ES6 class based component. When declaring, you need to have the following import at the top of your file. 2: A class component always needs a render() method and always needs to return() something. A container is a class based component that has all the ability of a regular class based component plus it can connect to the redux store via the connect() method. Interesting blog post on ReactJS Components. Thanks for writing this good content. Thanks for writing such a Great Tutorial!